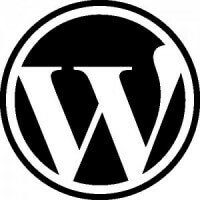 According to WordPress.Org, its development is now in the third beta of the WordPress 3.6 release. What does this mean for web developers and WordPress CMS users? It means that over 100 highly anticipated changes are on their way to the platform. WordPress updates are always interesting, but this newest batch might just make site self-management a bit easier. What is post format flow? Well, basically drag and drop image upload to WordPress posts. This might seem like a minor change, but formatting image uploads has long been in need of improvement. The new release of WordPress 3.6 addresses image upload issue with a convenient uploading process many developers and casual users are looking forward to. With no plug-ins needed, WordPress development just got a lot more convenient. Posts are now going to be autosaved through browsers, a capability that will hopefully save many, many written words. Instead of a panic attack, post creators can now just revert to an autosave when computer or network issues arise. Spotify and Rdio are both increasing in popularity like you wouldn’t believe. WordPress 3.6 is designed to provide compatibility with oEmbed Spotify and Rdio components. This should allow for easy sharing of music-streaming services. In fact, the latest beta update showcases the functionality on the main post page. Again, no plug-ins or extensions needed. The WordPress development team is creating a simpler content upload scenario where all media can be easily uploaded without the need for extra plug-ins. This advancement is sure to speed up content creation, site loading speeds, and simplicity of the CMS platform. There are around 100 changes in the newest WordPress development release, each one of which is designed to improve the system. Although not yet ready for production sites, the update is increasingly closer to official release. Site owners who utilize WordPress are getting ready for the next release of the system.